75th and Sedgwick: It's all Güd. How are you? I am still full from the enormous amount of junk food I ate last night, but I'll live. Others may disagree, but I think Madonna killed it. I loved the gladiator reference and the ending was awesome. Anyway, on to other things. I've sloooowly been getting into using more natural beauty products, which is something I think you've been doing for some time. Right? So many of my friends have warned me about the possible harshness, but alas, I continue to use the exact same Shower Fresh Secret that I've used since 7th grade. Aluminum included. For those that are curious about this, the internet has a lot of conflicting reports out there. So, I thought I'd share what products I've heard of and ask you and our readers for more advice! 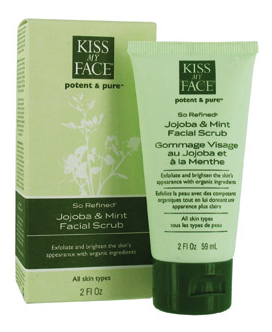 I've always heard really great things about Kiss My Face, so I'm going to try some of that next. Burt's Bee's has a new affordable natural line called Güd. Have you heard of it? I picked some up when I was at Target recently. The body lotion is really fragrant (like you don't need perfume) but luckily I like the scent. 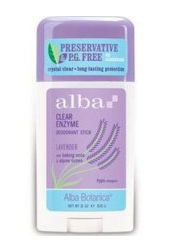 It's thick and moisturizes really well, so I've been enjoying it. What I'd really love to find is a good natural product for naturally curly hair. But that's basically the Holy Grail, so I understand that it might take a while! Any advice from our readers? I am waiting for some one to try Wen -- it is a hair product that replaces shampoo. Do you know anyone who has?